In response to numerous requests, 2014 marked the beginning of my photography workshops. 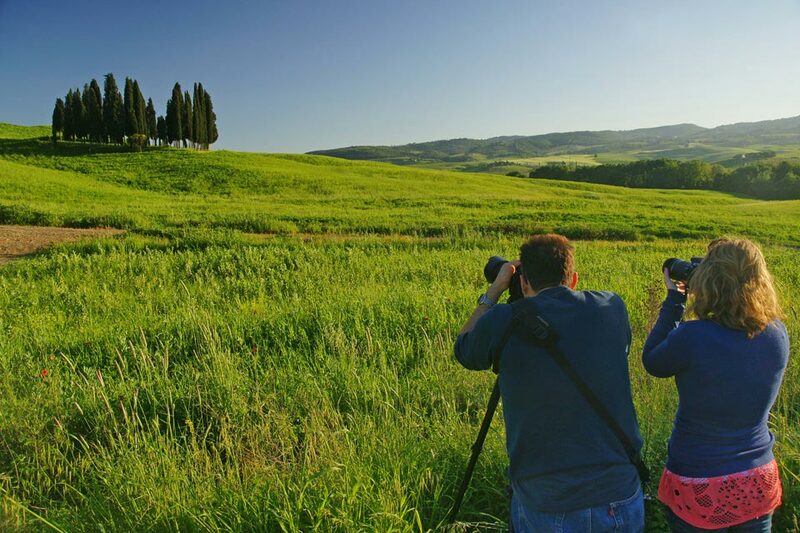 This opportunity is open to all: individuals, couples or small groups, both professionals and amateurs can ask me to take them to Tuscany’s most beautiful spots – from Chianti to Val d’Orcia – to spend an exciting and unforgettable ‘photographic day’ out of doors. I believe dawn and dusk are the most thrilling moments to capture. The course can be a half day or a full day; beginning at the first light of dawn and/or concluding in the evening at sunset. 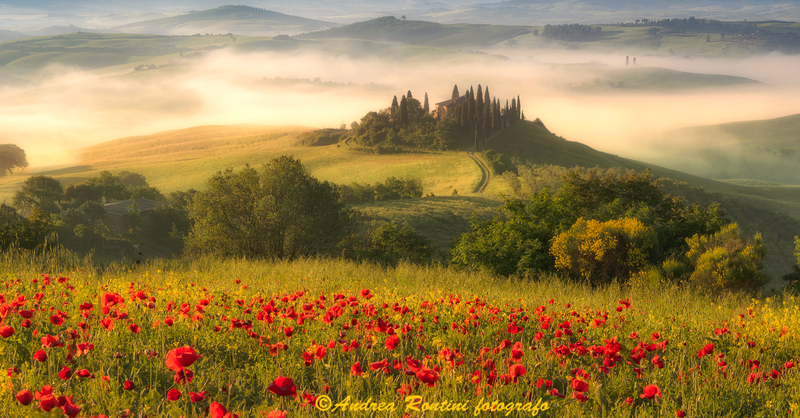 One or more days of photography is much more than a photography course in Tuscany: it is an exhilarating journey through a land rich in beauty and history, exciting a passion which I will also share with you. Besides teaching you photography techniques, I will impart his love for the landscape, which goes beyond what may be seen to what we feel and long to see. There are photography workshops and photography & art workshops. For the photography workshops, I will accompany you throughout the tour; for the photography & art workshops, a tour guide will assist us with the artistic part of the tour. 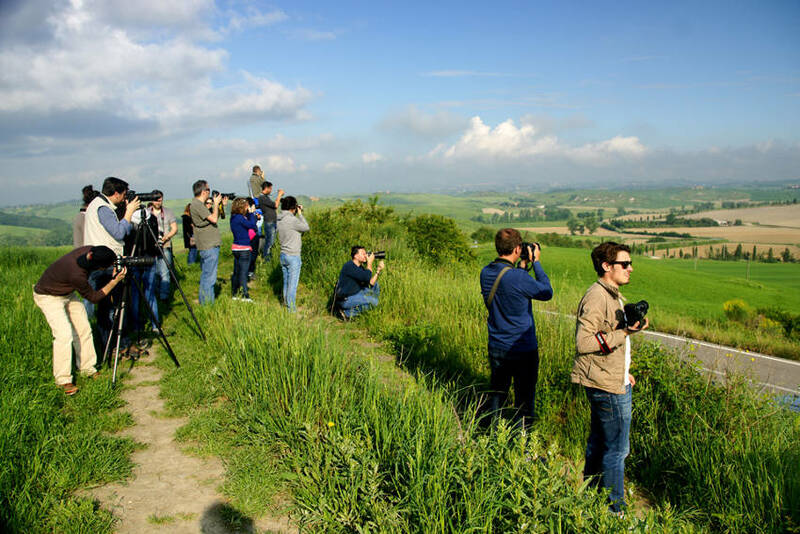 Already in 2014, my photography workshops have attracted various groups of Americans and Europeans, as well as Brazilians, thanks to the chance to network with the Brazilian blog ‘Viva Toscana’ by Barbara Campanaro. 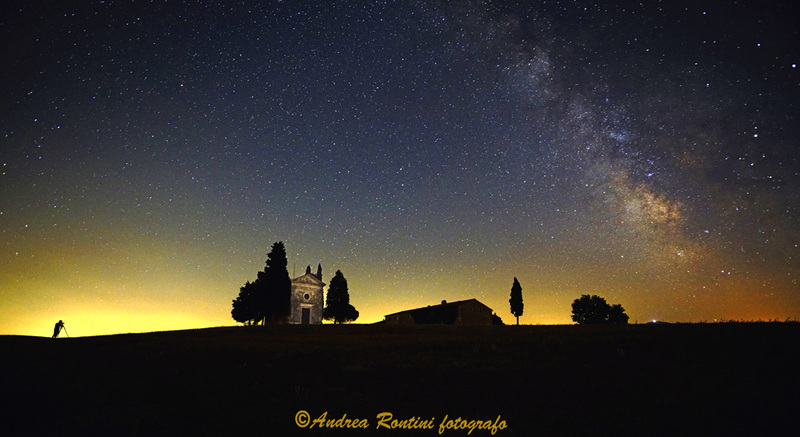 For more information on times, places, length and costs of the workshops, please visit the website www.andrearontini.com and follow us on Facebook and on Instagram. Me and Manuela will be glad to supply all the information necessary for turning your dream into reality. Contact us today to request more information or to register for one of our photo workshops. The next dates are 10 and 24 May, and 7 June (sold out) and 21 June. We can also organize customized workshops, in this case if you are interested we suggest you write or contact us, in order to develop the best customized solution. “Un workshop con Andrea Rontini è come ottenere un “calcio di rigore”, per usare la simpatica e felice espressione che il maestro toscano della foto paesaggistica utilizza scherzosamente quando ti colloca di fronte ad un angolo di meraviglia che sembra aspettare proprio te. Allora basta scattare, perché il posto è quello giusto: lui lo ha scovato macinando chilometri di alzatacce mattutine e incantandosi di fronte a centinaia di tramonti; la luce naturale è quella che ci vuole; lo spirito che ti ha pervaso ti ha portato allo sguardo fotografico adeguato per la grande immagine. “Andrea is a person who know the methodic of Photography and he gives this big knowledge to students which are interest to learn more about Photography. But it was not only interesting to take photos with Andrea, it was also funny with Andrea when he told he’s stories he get of his life with Photos. At evening we meet us in his gallery and get a theoretic lesson. Andrea showed us how to see the picture, he explained it with his own Photos, what is important to take a good Photo, why it is a good Photo. “Ho avuto il piacere di partecipare ad un Workshop organizzato da Andrea Rontini alcuni anni fa. Workshop itinerante nella bellissima zona delle crete senesi e Val d’ Orcia, complice anche una giornata metereologicamente perfetta per fare foto con delle belle nubi bianche, Andrea ci ha accompagnato nelle più belle location fotografiche, il tutto dall’alba al tramonto! Spiegazione su come effettuare foto con il cavalletto nelle ore più critiche, uso dei filtri, iperfocale, ecc. ecc. non è mancato niente. “My first photo workshop with Andrea was held on September 2015. 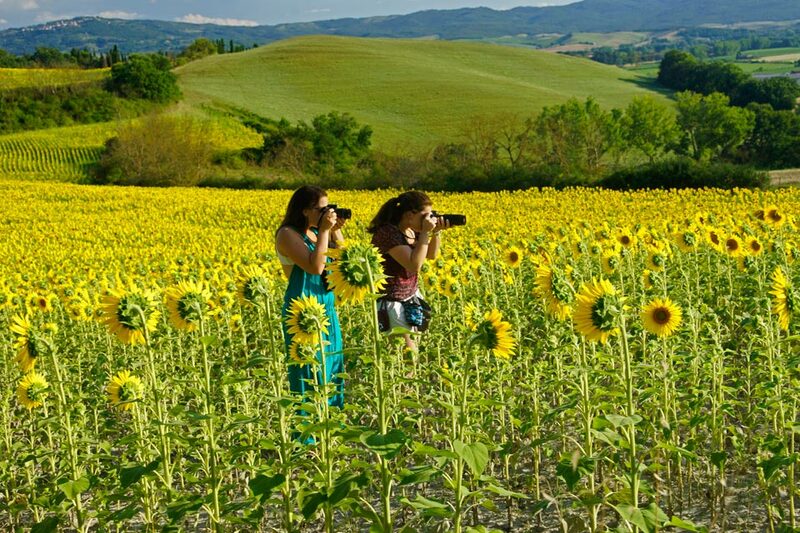 We visited and photography several amazing spots of Tuscany. the workshop with you in the Tuscany was marvellous. You showed us places, we hardly could find alone. You helped us a lot with the settings of the camera to get the colours we like so much in your pictures. You were very patient and beneath the photography you showed us a lot about the different facets and way of living in Tuscany, although a beautiful restaurant offside the mainstream with delicious meal. Transmitting the passion of photography? Andrea, you are the passion of photography and it was very contagious for us, when we were together with you. You also learned us, how to take pictures even when the weather was not that nice. The meeting is programmed in the morning at 7:00 am in Castellina in Chianti or at 6:30 am at the A1 motorway exit Firenze Sud. The first stop is at Fattoria d’Albola in Radda in Chianti, where we will try some photographic spots among the colorful vineyards around the town. After we visit the village of Radda in Chianti, capital of the old town of the ancient Lega del Chianti and the Abbey of Coltibuono from the twelfth century. For the lunch break we will stop in the enchanting Castello di Volpaia. Then we will continue on a rural path with a visit to a typical Chianti farmhouse to the Romanesque Pieve di San Leolino from the 12th century It ends with the fabulous Sunset at Castellina in Chianti or Panzano in Chianti. The return is scheduled at around 20:00. At the end of the course you will receive the certificate of participation. At the end of the course you will receive the certificate of participation. We start at 6:00 am from Castellina in Chianti (in front of the Church of San Salvatore) or we can meet before at 5:30 am at the A1 motorway exit Firenze Sud. 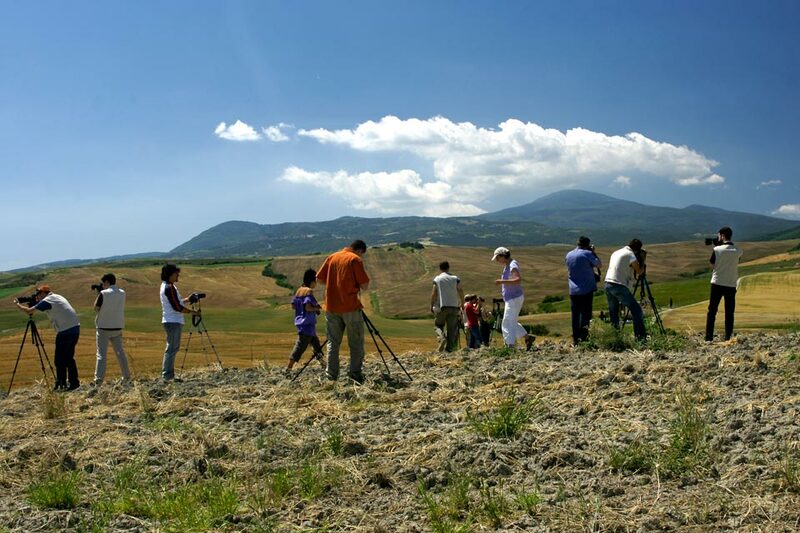 The first stop is in Taverne D’Arbia where we start with the photographic spots of the Sienese clay. 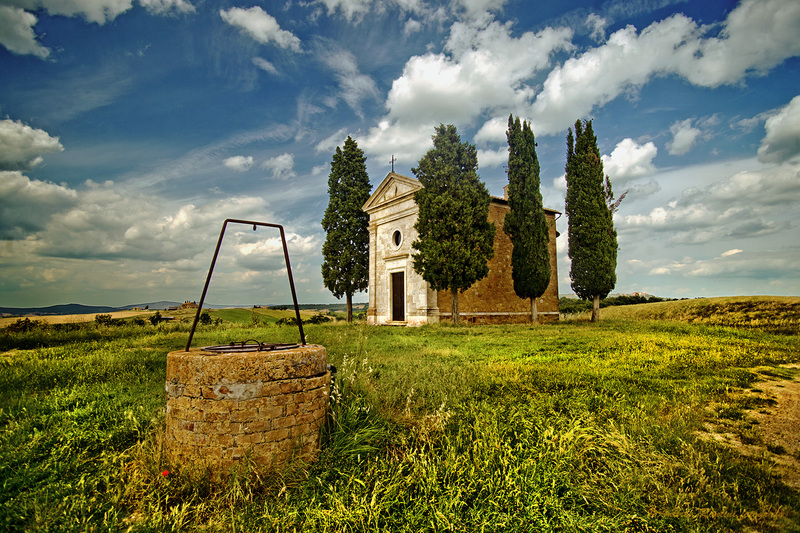 Then we will be stopping in Buonconvento and then we will enter the Val D’Orcia in the direction of Pienza. The lunch break will be in a typical Tuscan restaurant. In the afternoon we will be visiting Bagno Vignoni and the sunset at the ancient oaks of Pieve a Salti. The return is scheduled at around 20:00. At the end of the course you will receive the certificate of participation. At the end of the course you will receive the certificate of participation.